Rajini is fascinated by the Himalayas. He also knows a Babaji who has been alive for 2000 years! He has mixed all this up in a perfect movie-masala and has stuffed it down our throats. All we can do is grin and bear for our beloved Rajini. Even at his birth, Rajini is declared to be someone almost divine and extraordinary. He grows up as a Non-believer. At a stage, a holy-man in the guise of a beggar (Sayaji Shindae) takes him to the Himalayas. At the mountains, the saints teach him 7 mantras. These mantras have the power to make any wish come true. Initially, Rajini is skeptic about the power of the mantras and playfully wastes some of them away. He then begins to give up his lack of faith in God and begins to transform into a Believer. His lifestyle begins to change. He uses his final mantra to create an honest, non-corrupt Chief Minister of the state.When the other corrupt politicians kill the honest CM, Rajini reluctantly gives up his path of Saatvik lifestyle by choosing Karma yoga. He does this by entering active politics himself. The film ends with an ' it continues' note. Rajini carries the film squarely on his shoulders. What captivates the audience the most is his undiminishing youthfulness and energy. Rajni had a light beard in this film to give a carefree image to the Characterization. Rajni's name is associated with the style and he performed each and every moment of Baba character with great �lan. Rajni's introduction is shown with the song 'Tippu Tippu, in a railway station set. He also did different dances for the songs 'Baba Kichu Kichu and 'Maya Maya in the dance direction of Prabhudeva and Lawrance respectively. His mannerism in the film is saying 'Gatham Gatham' (past is past) by showing his trademark Baba symbol (see the image of Baba). Another interesting mannerism is giving shake-hand to his pal for every dialogue he or his friends crack. Rajini's dance is the best thing that had happened to the song sequences. His dance, his rapid dialogue deliveries and his fast paced gait are received by applauses of joy and jubilation by the audience. Since he clashes directly with the 'CM' and 'Deputy CM' in the film, the dialogues are laced liberally with political overtones. These too are greeted with whistles and applauses. Towards the end of the film, Koundamani plainly tells him, "Why don't you become the CM yourself, Baba?" Even before the dialogue ends, the fans go crazy with their shouts of joy and affirmation. Manisha's character was put together in a big rush or that's what it looks like. One doesn't get the feeling that she is the heroine of the film. She doesn't have the appeal or glam of the heroine. Pretty dry she looks. 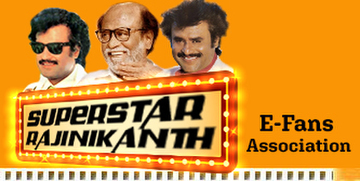 Aashish Vidhyarthi's character adds strength to Rajini's role. Koundamani is very hilarious in the first half of the film. Sujatha's character portrays motherhood sentiments to perfection. The song 'rajjiyamaa' with AR Rehman's score gels beautifully with the story and spins magic. When seen along with the film, Rehman's music score works. The music has supported the film very well indeed! Cinematographer Chota K Naidu and editor Vijayan deserve special mention. They have put in tremendous effort in further strengthening the scenes that portray Rajini's might and strength. It's an interesting twist when the Babaji gives the boons to a Non-Believer like Rajini. The film picks up speed when Rajini has only one more manthra to use. The story has some good instances of screenplay, like when everybody starts compelling Rajini to take up the CM position himself with the Opposition too trying to capture the coveted position, and when Rajini attempts to use his last boon to create an honest politician. Rajini has done the story and screenplay of this film. So, director Suresh Krishna couldn't do anything much there. But, he has done his best in bringing out the opulence in the framing of scenes and song sequences. Rajini is very much into Spirituality. Rajini's fans are very much interested in seeing him enter into Politics. 'Baba' is a coming together of both these desires. Rajnikanth's intention of mixing the Indian philosophy with mass elements is commendable. At the end of the film Rajni asks the Baba to tell him what everybody should do to have a harmony in society. Baba replies Rajni 3 principles 1. You should keep your body and heart very clean 2. one must keep his/her family very happy 3. One must help the society. Even if you don't help society, you should never harm it.